Planning a mystery party? 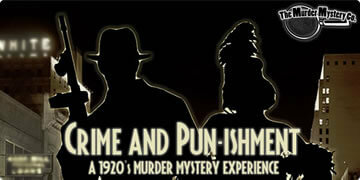 Kick it up a notch with The Murder Mystery Co. in Tampa. 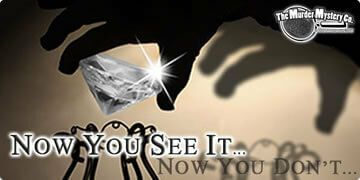 Our mystery experts will immerse your guests in a one-of-a-kind event from start to finish. 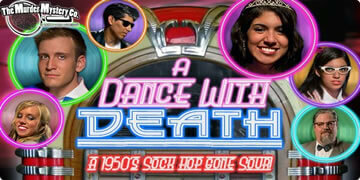 Planning a killer party down in Tampa, Florida? 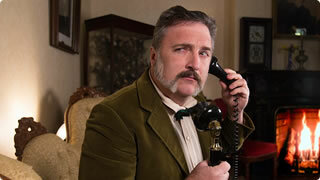 Pick the perfect entertainment with The Murder Mystery Company. We have many different themed shows to choose that will be perfect for your event, and they can even be customized! Our professionally trained performers will make your party completely stress free, with no messy cleanup afterwards! 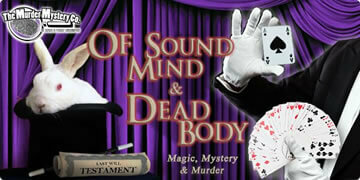 Treat your guests to an interactive mystery theater experience they will never forget. For your upcoming corporate event, team building day, fundraiser, charity event, or birthday, the experts in mystery entertainment are the perfect choice! Killer entertainment is hard to come by, but when you team up with The Murder Mystery Company, you can be sure your guests will have a murderously fun time. Our mystery experts can turn any corporate event into a thrilling mystery theater experience you won’t find anywhere else. Corporate events are a breeze with our professionally trained performers taking the reins and leading your guests on a two hour interactive whodunit thriller at your event! We do all the work, and you do all the play! 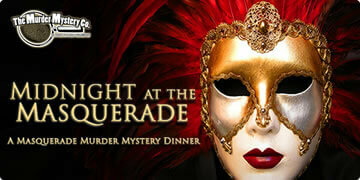 Enjoy a stress free corporate event with The Murder Mystery Company in Tampa! Make a scene at your next team building day, a crime scene, that is! The Murder Mystery Company are the experts in mystery entertainment, so team up with us to make sure your employees have the time of their deaths by choosing one of our customizable themed shows for your next team building day. Our professionally trained performers will come right to your office or venue of your choice and immerse your employees in mystery, intrigue, and murder perfect for team building exercises! You get a stress free two hours of entertainment with no messy cleanup after! Work with your personal Crime Scene Planner to make sure your event goes off without a hitch. 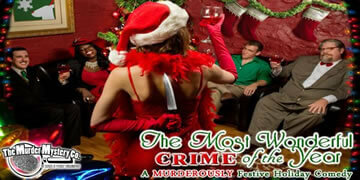 Line up the perfect entertainment for your next fundraiser or charity event with The Murder Mystery Company in Tampa! The pressure to have a successful event can be overwhelming, but with us it’s a stress free task from beginning to end. 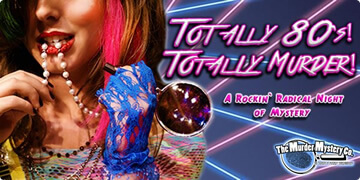 We have professionally trained performers that will come to your chosen fundraiser or charity event venue ready to give your guests a night of killer entertainment for a good cause! When you team up with The Murder Mystery Company, it’s a win win situation. You get a stress free event with professional entertainment, the tickets practically sell themselves, and your fundraiser or charity event guests get two hours of live action, interactive whodunit mystery! 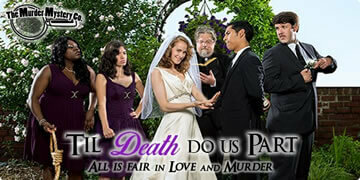 Last but certainly not least, The Murder Mystery Company in Tampa loves helping you host a murderously fun birthday! We offer the perfect crime scene for any party for the very young with a murder free show that immerses your young detectives in training in a scavenger hunt, to the very young at heart with a variety of scandalous themed shows everyone will love! We love creating a unique, one-of-a-kind birthday experience for each of your guests! Our mystery experts will also take care of set up and cleanup, no matter where you event is, from your backyard to a specific venue. Let the birthday shenanigans begin!